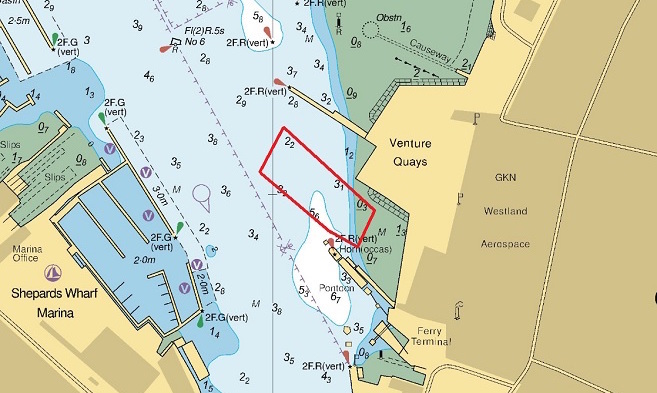 Cowes Harbour Commission has issued dredging and works licences to Red Funnel granting permission for construction operations to commence on the new Red Funnel lay-by berth at East Cowes. This follows the relevant approvals having been accorded to Red Funnel by the Marine Management Organisation (MMO) and the Crown Estate. Construction works for the lay-by berth started on 24th January and will take place mainly during daylight hours. There will also be some dredging carried out in conjunction with this project and a Local Notice to Mariners will be issued once dates have been confirmed. Please also refer to Local Notice to Mariners No. 04(T) of 2019: Construction Operations in Cowes Harbour – Red Funnel Lay-by berth for further information.